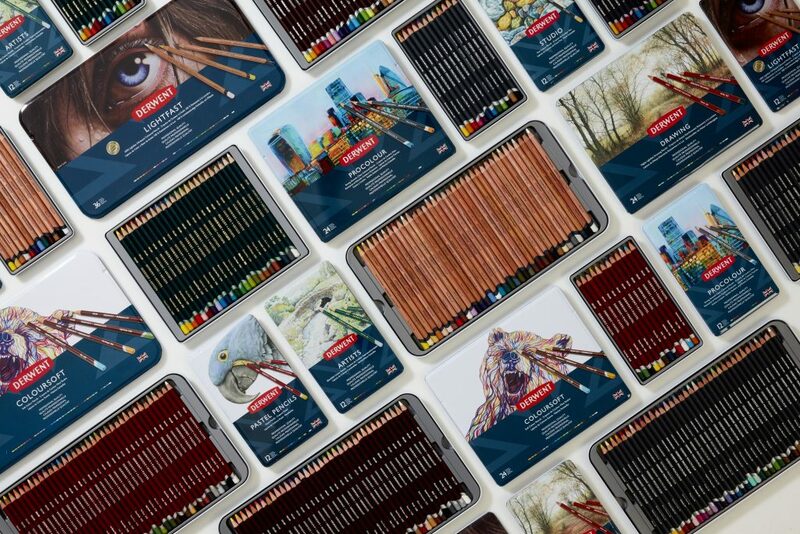 January 2019 – Following months of consumer research and development, world-renowned British art materials brand Derwent have announced their plans for CreativeWorld 2019. Joined by British urban sketcher, Ian Fennelly, on stand E20 in hall 4.2, Derwent will be displaying a selection of product extensions, designed to meet the needs of artists whatever their passion. In 2019, Derwent will be celebrating the 20th anniversary of their Metallic Pencil collection by adding eight new colours and a range of Limited Edition gift sets. The eye-catching range has been reformulated with shimmering metallic colour, smoother laydown and a highly blendable pencil which are all key needs of consumers. Pencils won’t be the only focus for Derwent, with the launch of a range of premium leather storage accessories tailored to the needs of artists and designers offering the perfect gifting solution. Made with 100% British-sourced, full grain leather, the new collection will also feature innovative hidden features and bold colours to ensure artists can feel stylish whilst indulging in their artistic pleasure. Derwent will also begin 2019 by re-launching the brand’s pen collection segmenting and positioning clearly between the Line Maker and Paint Pen ranges.